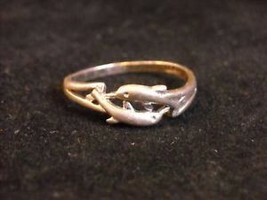 This is a listing for a sterling silver dolphin ring. 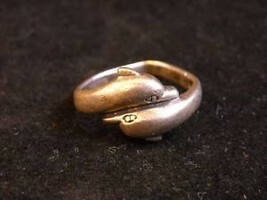 It has two dolphins with whole bodies leaping. 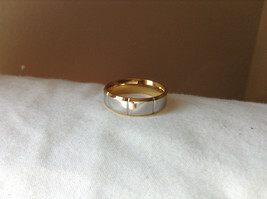 The inside of the ring is marked 925 and Edco size 8. 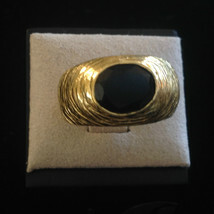 It is a little bent so it is not perfectly round but is in otherwise good condition. It measures 3/4" in diameter and 1/4" wide. Please consider leaving 5 stars in EVERY category in the detailed seller ratings when you leave feedback. It is important that you know that leaving a 4 star rating instead of a 5 star rating causes good sellers to be suspended from. removes sellers who average less than a 4.3 in ANY ONE category. Many buyers don't realize this, because leaving a 4 seems like a "good" rating and the labels attached to a 4 lead you to believe so. Unfortunately, this is not the case. Negative feedback can be very damaging and more than that we truly want happy and repeat customers. So if you have any problems or issues, please let us know how we can help. THANKS!